The Fireline Corporation is a Maryland corporation founded in 1947 by John S. Waters. As a pioneer in the fledgling fire equipment distribution business, John Waters soon saw the benefits of offering exemplary service and high quality products at a fair price. Fireline has lived by this standard for more than 60 years and the tradition continues today. Fireline grew into one of the nation’s premier fire equipment distributors during the 1950’s and quickly took on new and innovative products as they became available. In the 1960’s, Fireline was one of the first companies to promote the use of multi-purpose dry chemical extinguishersand kitchen hood and duct fire suppression systems. In the late 1960’s, Fireline became a Pyrotronics fire alarm distributor and a Fenwal Halon 1301 distributor. These manufacturers, and many more fire alarm systems oriented product lines are still sold by Fireline. In the 1960’s a group of fire equipment distributors from around the country met in Chicago at the National Safety Congress and formed the industry’s first trade association: the National Association of Fire Equipment Distributors (NAFED). Fireline is one of its charter members. John Waters was instrumental in getting the organization off to a strong start. In 1965, he was elected as the third president. 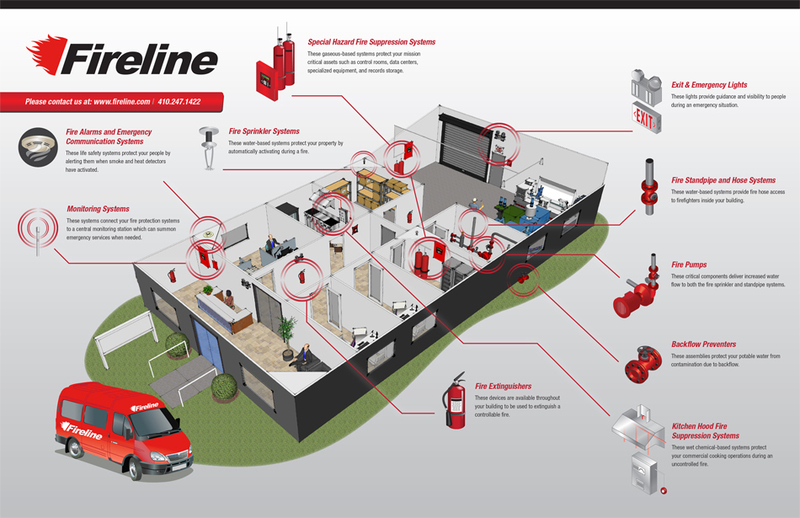 Fireline continued to grow throughout the 1970’s and became one of the largest portables and special fire systems distributors in the country. 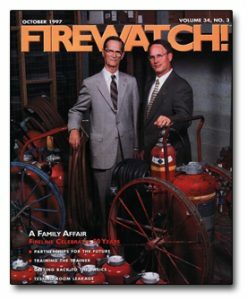 In 1982, Stephen Waters succeeded his father as president of Fireline. He began his career with Fireline in 1974. Continuing the company support of NAFED, Stephen served as director of region 1 and later as president from 1985-1987. Fireline is also a member of the Fire Suppression Systems Association (FSSA), the American Society of Safety Engineers (ASSE) and the National Fire Protection Association (NFPA). Stephen Waters sat on two technical committees, NFPA 12A, Halon Fire Extinguishing Systems, and NFPA 2001, Alternative Protection Options for Halon. In December, 2009 Stephen Waters passed away. His daughter, Anna Waters Gavin, is now president. She currently sits on the board and chairs committees for various trade organizations including the National Independent Fire Alarm Distributors (NIFAD), the Fire Suppression System Association (FSSA) and the Life Safety Alliance (LSA). Ms. Gavin is committed to building on the legacy of her father and grandfather by maintaining the company’s standing as an industry leader. Click here to view the full size version of our capabilities diagram.